This meeting concluded on Jan 31st, 2017. 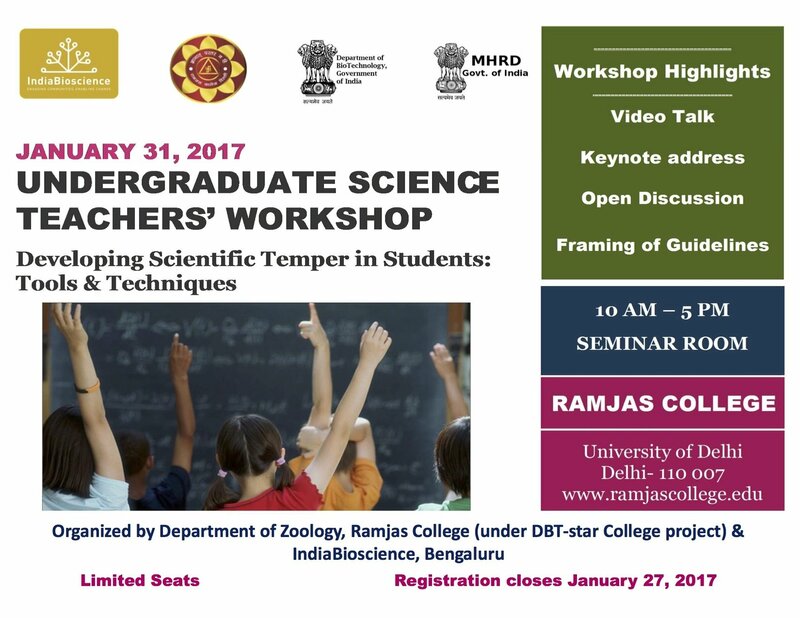 This one-day workshop will feature discussions on using the curricular content to inculcate scientific temper in students. Sessions will include "how-tos" - tools and tips on applying the scientific method to classroom pedagogy. Working in groups, participants will develop tools for inculcating scientific temper in their classes. Participation is free, but prior registration is recommended.